03.15.2010, originally uploaded by elizabethlmccoy. 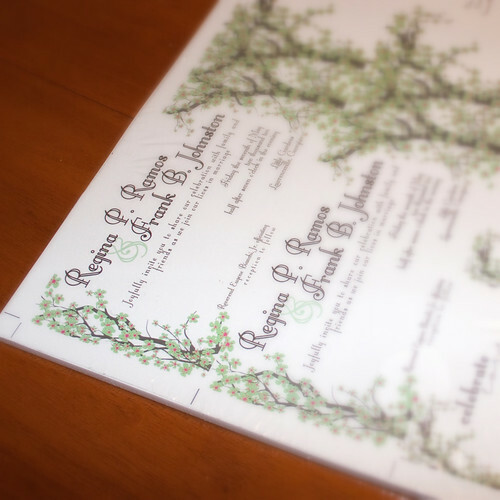 "03.15.2010 - Frank & Gina's invites came in! YAY we assembled them the next day after I got them cut. I am loving how they turned out. I think they liked them too! "